Create Ancient Greece in you own vision! Forge of EmpiresFight exciting battles to control the fate of your empire in Forge of Empires! 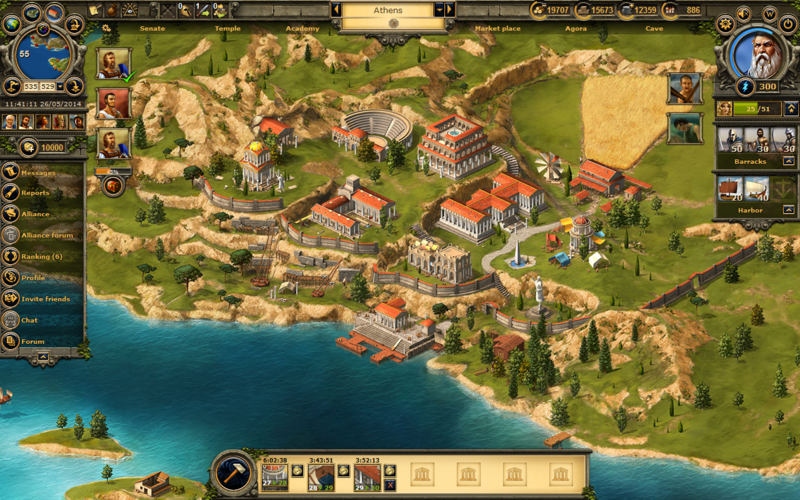 Sparta War of EmpiresReturn to a time of strategy and diplomacy, a world where war is a way of life … welcome to Sparta! Stormfall: Age of WarCreate a mighty castle, use sorcery and siegecraft. The age of peace is gone… now dawns the Age of War!